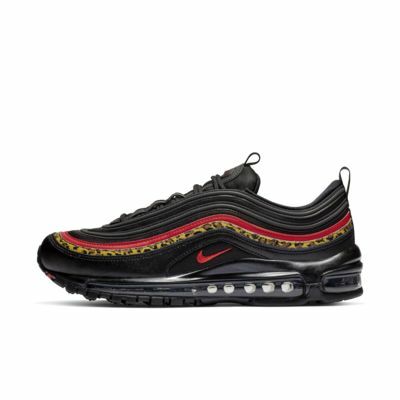 Achieve electric style without sacrificing comfort with the Nike Air Max 97. The full-length Max Air unit provides comfortable cushioning, while the innovative lacing system offers a customized fit. Synthetic, leather and textile upper gives comfortable support. Full-length Max Air unit provides maximum cushioning. Innovative lacing system gives a customized fit. Solid rubber in a modified waffle outsole delivers excellent traction and durability. Animal-print accents give bold style. Go half a size up!